Hi, my name is Bogey. 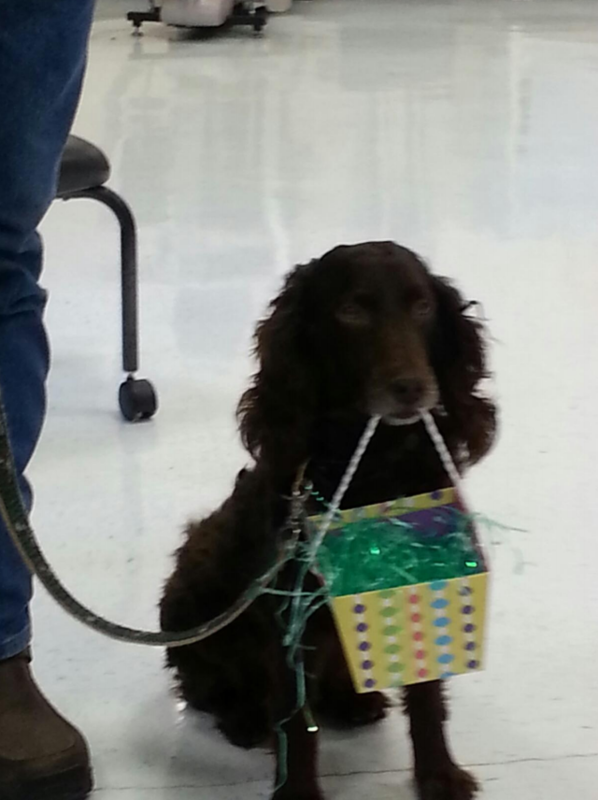 I am a Boykin Spaniel. I have a master field trial retriever title. That means I’m one of the top land and water hunt dog in all of the country. I love hunting, water sports, and I even love to watch fireworks! About Bogey: My full name is Bogey. 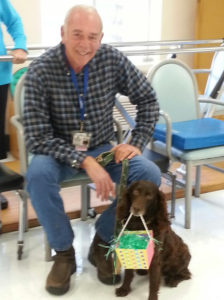 I am a female, Boykin Spaniel. Retriever. My birthday is October 3, 2006. This is my dad, Richard. My dad says that I am extremely well trained and that I stay very calm. I came to live with my daddy when I was two months old and have literally been with him 24/7 ever since. I enjoy going on visits with my dad. I hope I get a change to meet and play with you. Love, Bogey Team Activities: Richard and I like to visit with children, adults and seniors. We visit at hospitals, courts, and assisted living and rehabilitation centers.